"SunMoon Archetype Healing: A New Paradigm"
Common metaphors reveal our intuitive knowledge of Solar and Lunar energies in daily life. We speak of "burn-out" - prolonged over-exertion without restorative rest - and "feeling blue" - a sad, withdrawn mood tending towards depression. Our internal balance between Solar (Active/Doing) and Lunar (At Rest/Being) vitalities will be explored in this experiential workshop. Direct intuitive contact with this inner self knowledge is facilitated through the use of SunMoon SoulCollage® cards, as developed by Mary Guillermin, visualizations of Solar and Lunar Archetypes and dialogue through Gestalt two-chair work. Examples will be given of "diagnosing" imbalances in our own and clients' psyches and creative remedies for out-of-balance Solar activity - rage, over-excitement - and out-of-balance Lunar states - depression, hopelessness - will be shared. 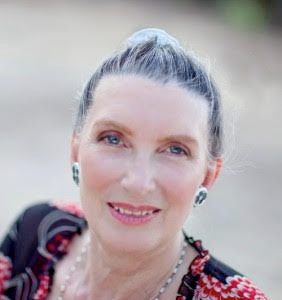 Mary Guillermin, LMFT Founder of SunMoon Archetype Healing & The Femininity Project, a Licensed Marriage & Family Therapist, and an accredited Pellin Coach with a Diploma in Contribution Training & Gestalt from the Pellin Institute in London & Italy. Mary has been working with clients for 40 years, both in England and California. She is the owner of the SunMoon Retreat Center in Topanga, CA where she hosts workshops and retreats on SunMoon Archetype Healing in the tranquility of the Santa Monica Mountains. Mary also hosts a Pellin Coaching: LA training course at the Retreat Center, which she co-founded with Peter Fleming, Director of the Pellin Institute, UK. Mary has a special interest in femininity in general, and the Divine Feminine in particular and she is excited about exploring the Solar/Lunar Archetypes with men and women. She considers her Pellin Coaching to be her Left-Brain work and SunMoon Archetype Healing as a conduit for Right Brain work. CEU completion certificates will be awarded after participants complete the course evaluation at 3pm. The next Experiential Process SIGs will be in October and November.